Technology is constantly changing itself, so it’s no wonder that it’s also shaping the industries that use it - and it’s shaping them fast. The real estate industry is no exception. According to the National Association of REALTORS® Research Department, 44 percent of home buyers sought properties online before looking in person in 2016. It’s safe to say that if you aren’t yet using technology in your real estate business, then you’re behind the curve. Customer relationship management (CRM) impacts the way you get, and keep, customers. 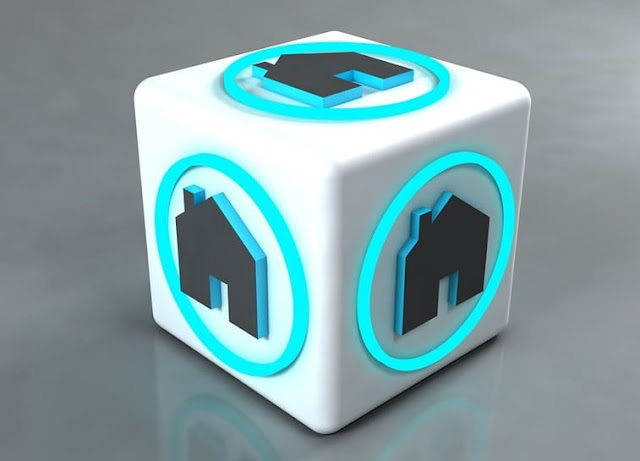 Technology is becoming a huge part of the CRM process in real estate, allowing real estate agents to connect with prospective home buyers in quick and meaningful ways. Access to mobile CRM technologies is crucial to the success of a real estate agent in today’s market. A mobile device is no longer just a tool to call clients when you’re away from the office. It’s now a tool that lets real estate brokers and agents handle the most complex situations, no matter where they are, to ensure that they foster and maintain the best relationships with their prospects as possible. Technology in the real estate industry is also shaping the way agents and brokers can access data conveniently and quickly, no matter where they are. Through mobile apps, you can keep tabs on your properties, connect with prospects, and even close a deal while you’re on the way to meet another client. Technology also gives you access to this data fast. If you need to look up comparable properties, you can have a database of comps at your fingertips. There’s no more sifting through heaps of papers to find information you need. Mobile data has made the process of finding properties and client information speedy and transparent. Long-gone are the days of marketing a real estate brokerage with television or print advertisements. Although mainstream forms of marketing still work, there’s a new form of marketing that’s taking over most industries, including real estate. That form of marketing is social media marketing, one kind that you can’t afford to be missing out on. Virtually any business in any industry can find success in social media marketing. Through Twitter, Facebook, and other social media platforms, real estate businesses can market their properties, spread promotions, and connect with their prospects on a deeper level than they could before social media. Social media gives you quick access to your current and potential audiences to boost lead generation by creating buzz. Blogging can pull in new customers interested in your properties, and social media can promote what you do. According to Postling, 79 percent of people in the real estate industry use Facebook. If you aren’t yet hopping on social media, then you’re missing out on an opportunity to stay competitive. Many businesses with a website choose to use several forms of customer service so that their prospective and current clients can connect with them in whatever way is most convenient for them. One of the most popular trends is adding a chatbot, or an automated customer service tool, on a website to quickly answer questions and lead people through a sales funnel. The real estate industry has caught onto the trend, using chatbots for everything from answering simple questions about available properties to helping people find their ideal properties faster. If you want to beat your business rivals, then you must do what they’re doing, but better. Technology can help real estate businesses do this, too, by giving them quick access to properties that competing real estate businesses have, learn about their pricing, and seeing what’s working for those businesses overall. On the other side of the fence is the fact that you can stay ahead of your competition by the technical tools you provide your clients. The easier you can make the property hunting process for them, the easier it will be for you to attract new clients and keep current ones, giving you an edge on competitors that might not be as up-to-date with technology. Are There Drawbacks To Tech In The Industry? Anything that brings benefits can potentially have some drawbacks, and technology is no exception. As helpful as it is to the real estate industry, it can bring on some new challenges that your business should be prepared to face. Once you add technological elements to your business, you’ll need to make sure all employees are on board. It might take some intense training to teach them about CRM systems, client and property databases, and other tools, and how to use them. You’ll also need to continue to stay one step ahead of the competition. Technology evolves quickly, as should your business and how you use it. Continuous learning is a necessary piece of the puzzle to have success with your tech-savvy real estate business. I hope you enjoyed this article about how technology is significantly disrupting the real estate industry. Interested in more articles about digital marketing technology?